With compatability updates to get them running on modern PCs. More of Blizzard's fabled back catalogue has arrived on the GOG store. 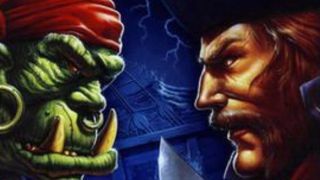 The original WarCraft and WarCraft 2, including their Tides of Darkness and Beyond the Dark Portal expansions, are now available. The original Warcraft: Orcs & Humans is available for $5.99, and Warcraft 2 is $9.99. You can save a buck by purchasing both in a $14.99 bundle. According to GOG "the version of Warcraft: Orcs & Humans available on GOG.COM has been fully optimized to run out-of-the-box on today’s operating systems. "Players who purchase Warcraft II through GOG.COM will get two versions: one that’s been updated with support for high-resolution displays and multiplayer via LAN connections; and a period-appropriate classic version that includes the original SVGA graphics, and matchmaking through the classic version of the Battle.net online-gaming service." GOG recently re-released Diablo 1 on Blizzard's behalf with similar compatibility updates. Meanwhile Blizzard is working on a proper remaster of Warcraft 3 with fresh graphics. That's due out at some point this year. It's quite fashionable to repurpose old RTS games at the moment. Last year Age of Empires received similar treatment. Age of Empires 4 is in development at Relic Entertainment; I wonder if Blizzard is contemplating a new full-fat Warcraft game.